Tenants in common is a method of holding title that enables multiple people to share ownership of a piece of real property. Unlike other methods of sharing title, a tenants-in-common arrangement gives each owner separate rights to the property, which they can sell or will to another party without the involvement of any of the other tenants in common. Many of the problems that come from tenants-in-common ownership come from the liberal rights it grants. Tenants in common all own the property together and have the right to use it separately or together. Furthermore, each tenant has a responsibility to bear a share of the property's expenses that is proportionate to her ownership share. In practice, this means that tenants in common periodically need to work together to manage their property. Any time that you get multiple owners together to make decisions, you risk disputes. 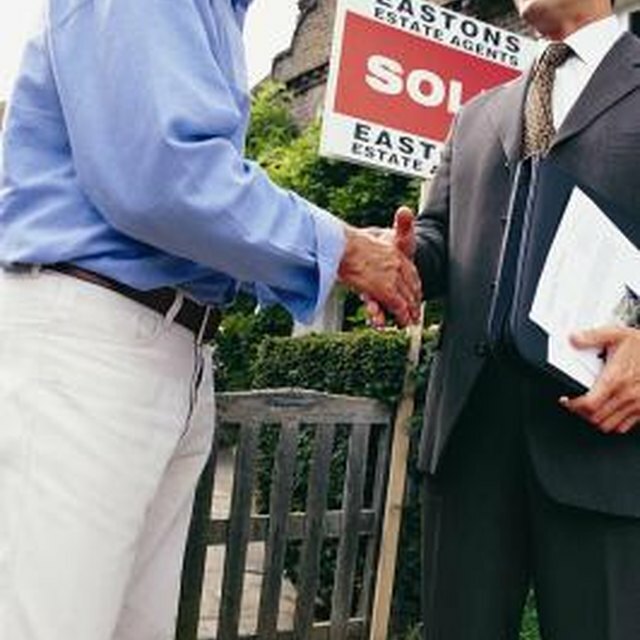 Each tenant-in-common has the right to sell or will his interest at any time. This means that the remaining partners could get stuck dealing with a new partner. While many tenants-in-common situations start out with a group of people who know each other and can do business with each other, they don't always end up that way. Tenants in common share equal rights to use the property, but unequal responsibilities for the property. This could cause a problem if a minority owner overuses the property. Family tenants-in-common arrangements where parents sell a portion of their homes to a child also can be awkward since the child who occupies the home technically doesn't have the right to keep his parents out. The only way to accomplish this is to set up a separate agreement regarding living arrangements. What Is My Financial Responsibility Towards My Domestic Partner? Instead of a personal residence or small investment property with other owners, you could also use the tenants-in-common structure to buy a small piece of a large investment real estate asset. TIC investments, commercial real estate interests, tend to be risky. They also can carry high fees and limitations on when you can buy or sell your interest. But, buying a TIC as an investment can give you a healthy rate of return and tax benefits, even though you get exposed to even more risk than you do with a regular tenants-in-common real estate purchase. Realtor.com: What Is Tenants in Common?